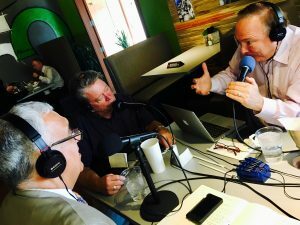 Bill and Dylan sit down with Senator Jim Dabakis and Salt Lake District Attorney Sim Gill to try and get to the bottom of what happened during the election! This entry was posted in Podcast Episodes and tagged Bill Allred, Jim Dabakis, Politics, Sim Gill, The Let's Go Eat Show, Utah. Bookmark the permalink.